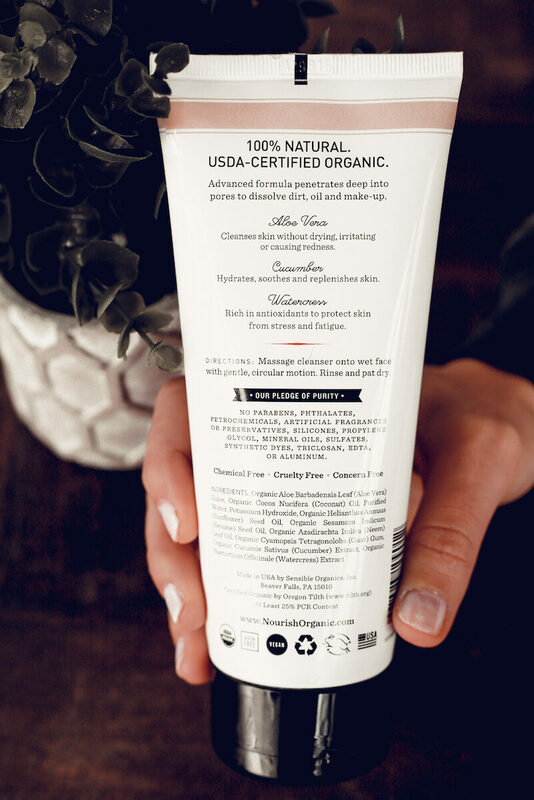 How “organic” are your skin care products? Alright, real talk. How many of us have been deceived by “organic” products that aren’t actually USDA-certified? It says organic on the packaging so it must be organic right?! WRONG. Don’t believe everything you read, kids. Sadly, the beauty industry is not regulated by the government or FDA. This basically means that beauty and skincare companies can get away with writing “organic” or “natural” on their labels even if their products contain 95% harmful chemicals and only 5% natural or organic ingredients. Yes, this mind-blowingly ridiculous fact is real and makes shopping for clean products much more frustrating than it should be. So…what’s an ingredient-conscious gal to do? But don’t you worry because we’re on a mission to introduce you to any clean skincare companies we come across. Our CO Approval might not carry the same weight as a USDA-certified seal…but it’s pretty darn close. 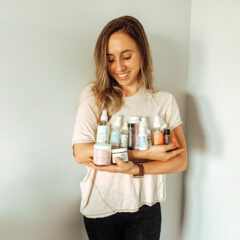 Fun fact: Did you know Nourish Organics is the world’s first USDA-certified organic skincare collection? We found this line at Target and decided to give it a try. The list of ingredients was minimal (and pronounceable), the packaging was cute and they wore their USDA Organic seal with pride. Triple win! So is all this organic stuff just a bunch of fluff? Or do these certified products actually stand a chance against the chemically-ridden beauty power players? Where to buy: Amazon has the best prices! 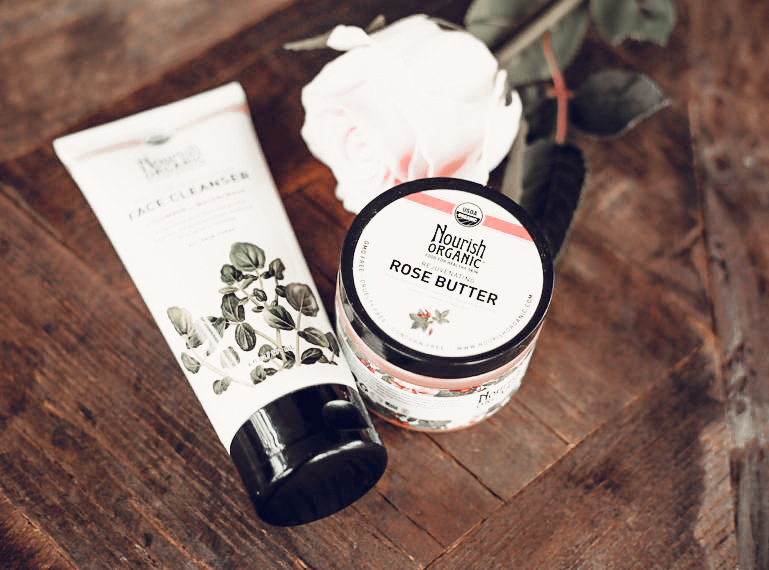 Click here for the face wash and rose butter. 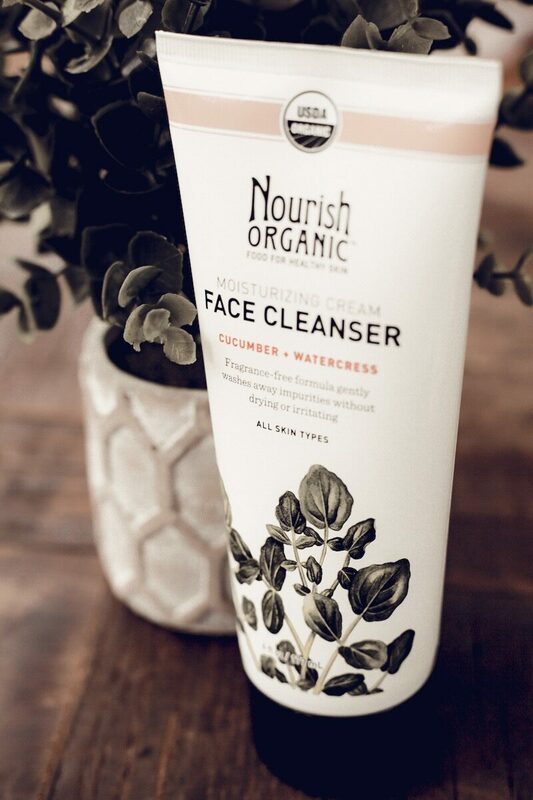 I experimented with the Nourish Organic face cleanser when I was looking to replace my Burt’s Bees facial cleansing cream. 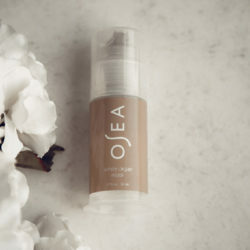 When you’re breaking out and experiencing a completely uneven skin tone, you’re in desperate need of a more natural alternative that helps heal skin. Next, I obviously walked into Target with a list of 3 things to buy and came home with a bag of goodies NOT on the list, including the Nourish face wash. #Targetprobz! Excited about my all-organic purchase, I immediately threw away the Burt’s Bees and used Nourish every morning for a couple of months. The first thing I noticed is that the consistency is more watery than other cleansers I’ve used in the past. Despite this, it lathers nicely and a little goes a long way. It also had no fragrance – the tell tale sign that this product was actually clean. Hooray! The cleanser does leaves your skin “squeaky clean” after the first use. What do I mean by that? (Anyone who’s tried Dr. Bronner’s body wash knows the “squeaky clean” feeling I’m talking about)… your skin will not feel silky smooth to the touch but you can rest assured no residue is left behind. Moisturizer is a MUST after using this face wash. Overall, this is a great morning cleanser if you don’t have overly dry skin. Since my skin is a bit on the oily side, I felt that it was effective enough for me without irritating my skin. It also gives me peace of mind knowing I’m not starting off my day with unwanted chemicals all over my face. 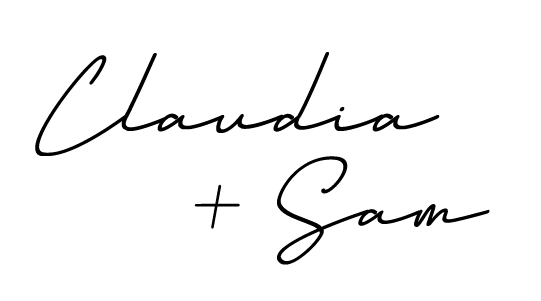 Okay I’m going to make this easy on you guys…I literally retweet everything Claudia said about the cleanser. That was easy! I’m here for the Rejuvenating Rose Butter. Here’s the thing…I’m in love! I’ve battled with dry, sensitive skin for what seems like forever. Growing up, I always had severe eczema patches on my shins and upper-arms. Traumatized by eczema, it’s ingrained in me to be super aware of what lotions and creams are going on my body. I stuck with heavy-duty, dermatologist-recommended Cetaphil for at least 10 years. It healed my eczema, but newsflash: it’s FULL of nasty chemicals. No thank you! So, after trying Claudia’s Nourish Organics face cleanser (Thanks, girl!) 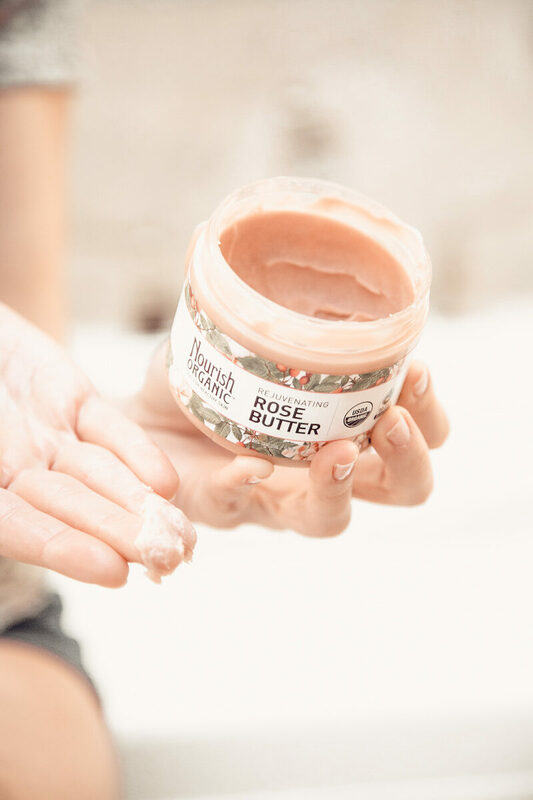 I went to Whole Foods and scoped their entire product line and stumbled upon the Rose Butter. First, I’m a sucker for all things rose. Then, I flipped the container around to read the ingredients and I fell in love. 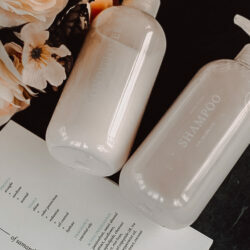 Simple, effective ingredients like shea butter, rosehip oil, and coconut oil were giving me heart eyes! Let the experimentation begin! My skin has never been happier. This stuff works better than the chemical-filled Cetaphil I’ve been dependant on my whole life. As any good experimenter does, I switched back to Cetaphil for a couple days and even tried using just coconut oil on my legs to see if the Rose Butter was as good as I thought. When I switched from the Rose Butter, I ended up getting really itchy shins (my eczema-prone spot) and lots of irritation. Let’s just say I went RUNNING to my Rose Butter and got serious relief. Even though I have switched face washes since writing this post (experimentation never ends! ), I do believe this is one of the cleanest products out there. Their products are literally “as pure and clean as the organic fruit you buy in your local supermarket.” Can’t get much better than that! 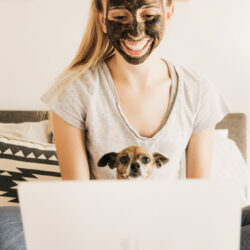 Ultimately, we’ve found ourselves referring more and more friends to this brand being that their products really do work and give your skin the nourishment (pun intended) it needs.